What is Tempered Glass and its Relation to Frameless Glass? What is tempered glass and how does its role function in relation to frameless sliding glass doors? You have likely heard of tempered glass, but you may be unsure what exactly makes it different from regular glass. Why is it so much stronger? By ba better understanding of the fundamentals of tempered glass, you will see why it is the superior choice in safety and design. Ordinary glass is called annealed glass. 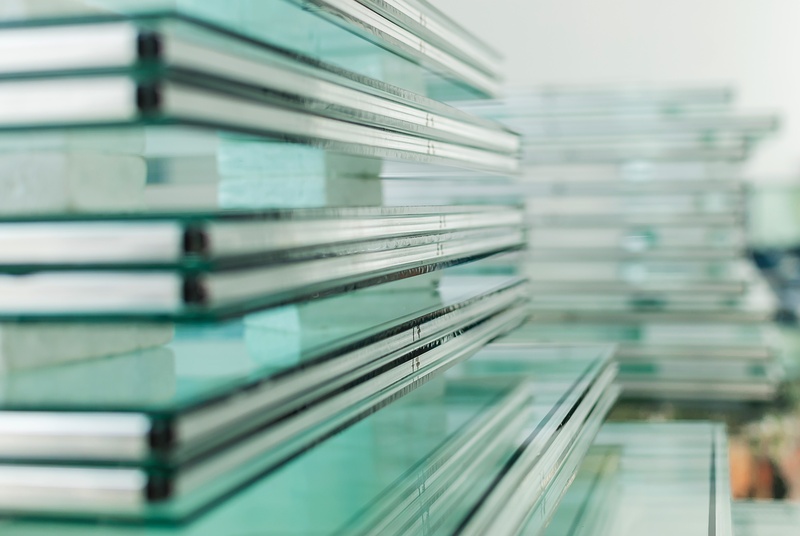 Upon impact, annealed glass has the ability to shatter and splinter into shards that can cause injury. This is dangerous for homes and vehicles and is a liability risk for home and business owners. Tempered glass is at least four times stronger. To adhere to federal standards, tempered glass must have a surface compression of around 10,000 pounds per square inch (psi). To be considered toughened safety glass, it must have a surface compression of at least 15,000 psi, but it can have as much as 24,000 psi. Compare this to annealed glass which breaks at around just 6,000 psi. Tempered glass is also called shatterproof glass for good reason. If it does suffer damage, it breaks into safer more sizeable chunks. This is easier to clean up in the case of a breakage and there are no small shards or points that could potentially injure someone. Tempered glass begins the same way as annealed glass, but it is exposed to more heat or chemicals to reinforce its strength. Heat treatment is much more common than chemical treatment, as the latter is more expensive. Before treatment, the glass is cut to the right size, including any etching or edging. It is also checked for imperfections that could cause the glass to break during tempering, including bubbles, stones, and scratches. 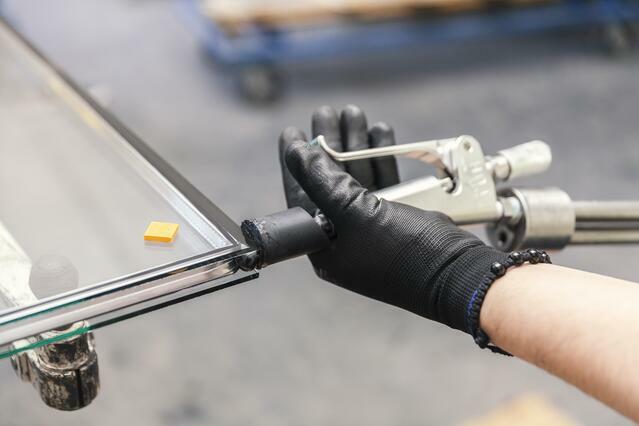 Finally, an abrasive, such as sandpaper, is used to remove any sharp edges and the glass is washed clean. Once the glass is prepared, it is ready for treatment. Heat treatment is carried out in a tempering oven. The glass is heated to around 620 degrees Celsius and then cooled in a matter of seconds in a high-pressure procedure called quenching. This makes the outer surface cool much faster than the center, resulting in tension in the middle and compression on the outside. The chemical treatment for tempered glass process involves immersing the glass in molten potassium nitrate. Although both methods lead to a stronger glass, chemical treatment leads to still greater strength and can work on the lass in complex shapes. The frameless sliding glass door systems from Cover Glass USA are made up of two pieces of tempered (safety) glass with an industrial lamination in between. The glass is five times stronger than annealed (normal) glass, exceeding the federal requirement for shatterproof glass. Beyond protecting businesses from accidents, our glass also acts as a sound barrier. This is great for businesses or homes located in loud neighborhoods. Plus, using our interior sliding doors, you can create quiet areas indoors for your living and working needs. 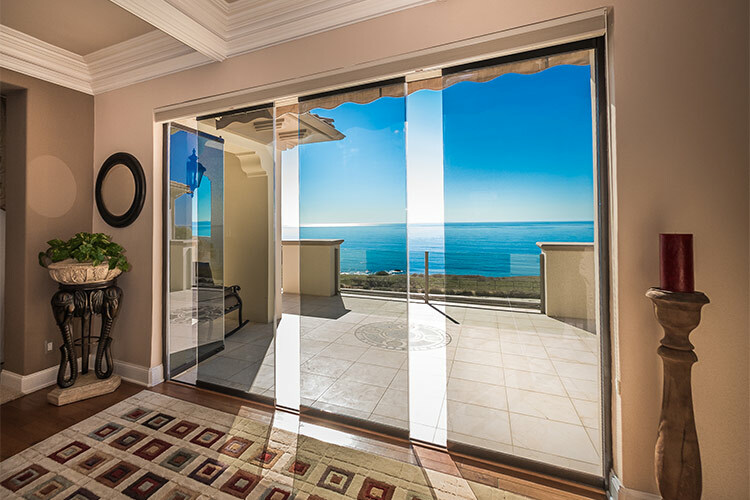 Ready to Install Beautiful Sliding Glass Doors with Tempered Glass?